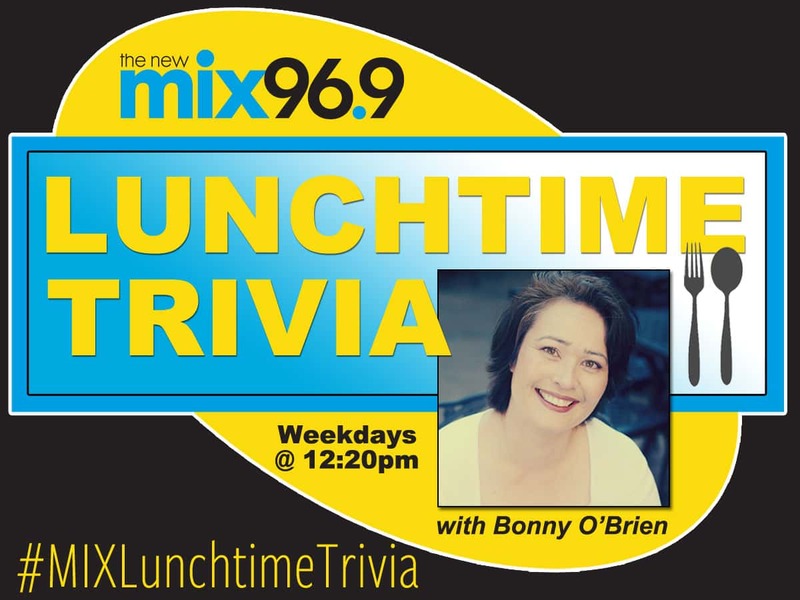 Bonny O’Brien, host of mid-days on Mix 96.9, brings you another chance to win some really cool prizes with her Mix Lunchtime Trivia, around 12:20 each weekday. She finds questions…some funny, some more difficult and some that are even easy…to add a little fun to your work day!! 4/10-14 – All this week, Bonny’s trivia winners will pick up a pair of tickets to Decatur’s Vintage Market Days at the Celebration arena on 4/21-23.